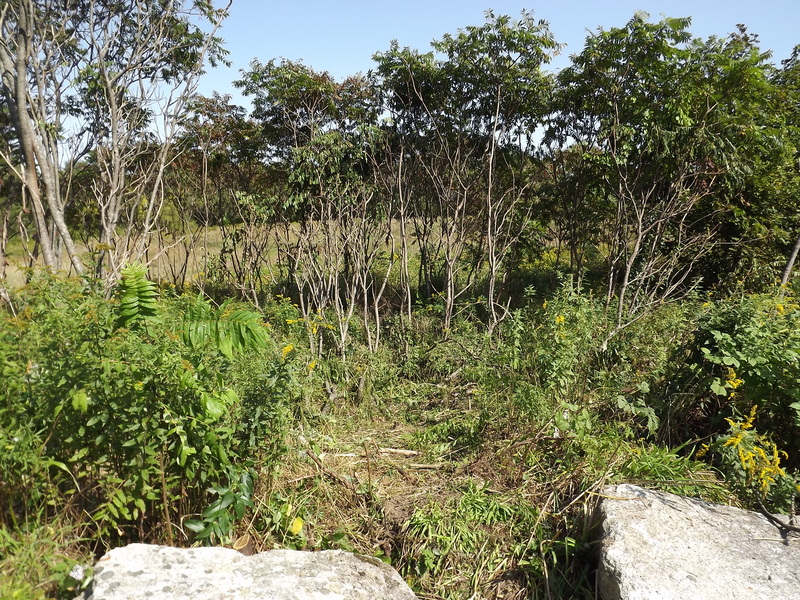 The weeds and stands of sumac saplings are gone from this half of the field. The two walls are now much more visible. This was the Shady Corner. 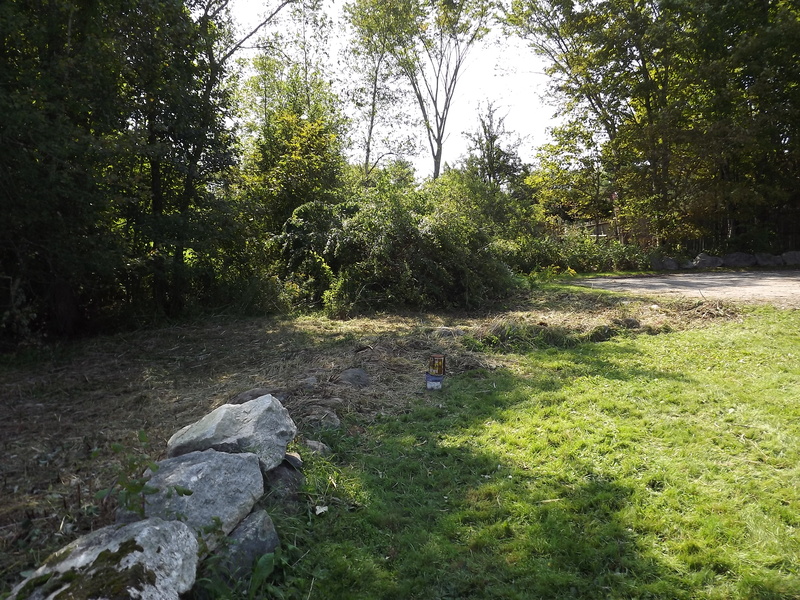 The curve of the garden remains, but taking the weeds out shows that there is no rock border here. 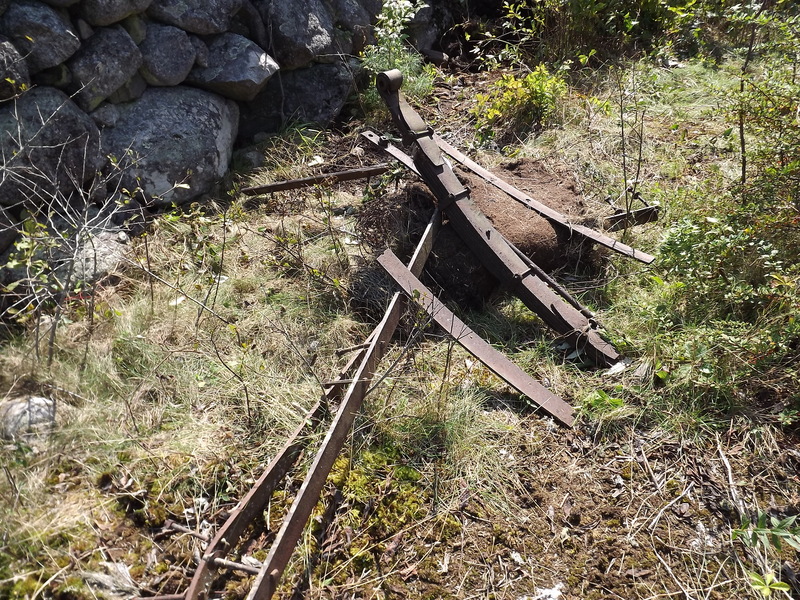 Now the three spikes, mostly likely used as fence supports, are clearly visible. Back in the corner where we found the leather straps and horse tack, the crew found more iron. That large spring is too heavy for me to lift even one end of it. 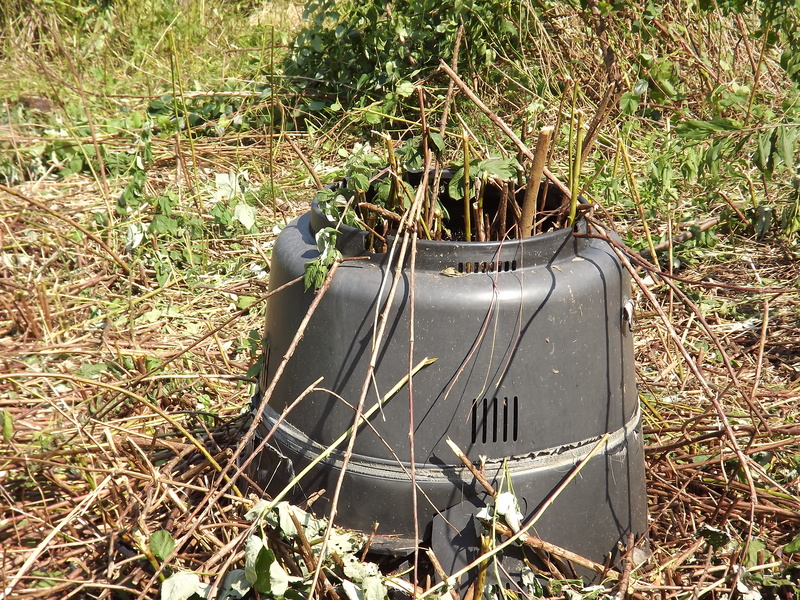 The weeds had covered this broken plastic barrel. I am looking forward to pulling it out of the field. 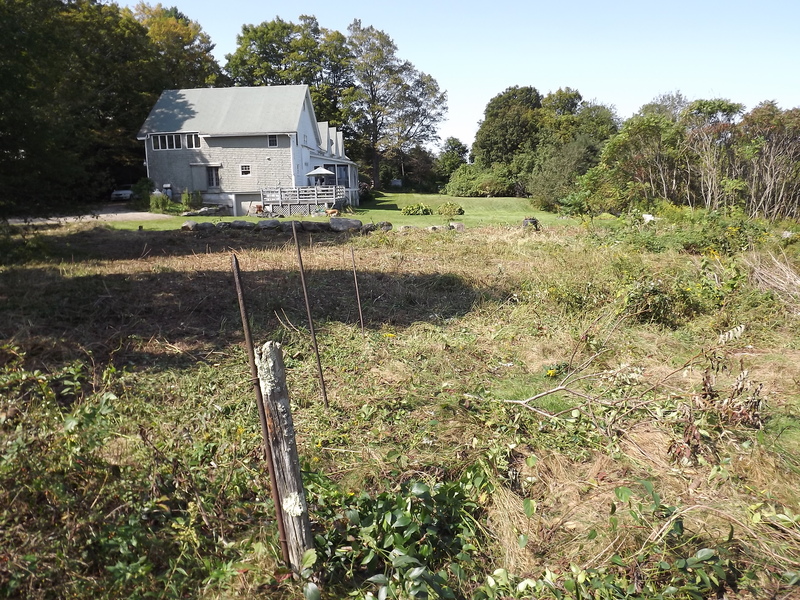 You can see where the bramble canes and weeds had flopped onto the lawn. Weeding reveals that this area as well is without a rock border. 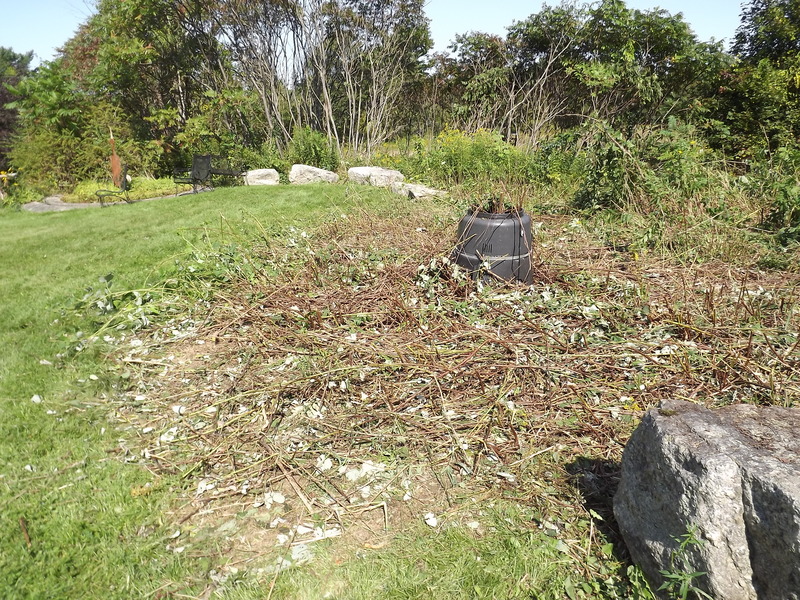 And finally, you can see where this stand of sumac saplings was thinned. More thinning to come! This is just the beginning. Father and Family are due to come back in a few weeks. 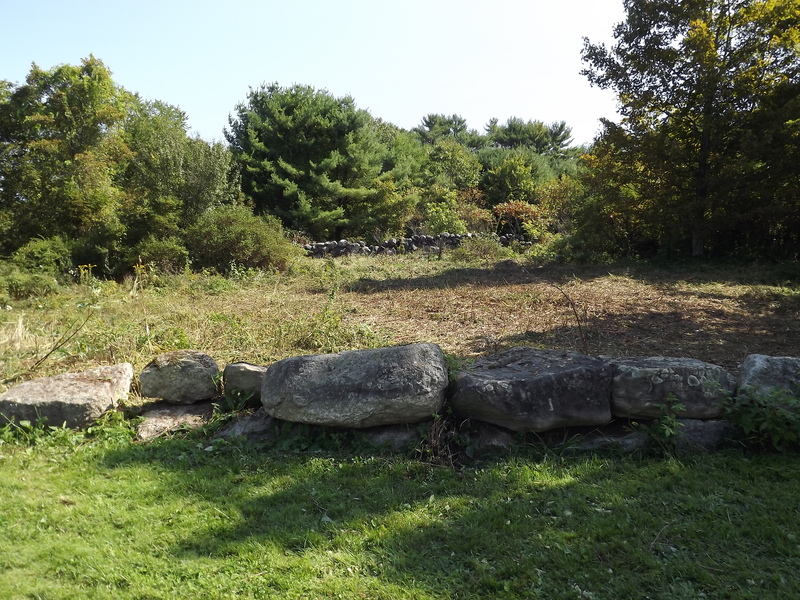 In the meantime, Husband and I will continue to pull trash out, and try to determine how much of the field is rock ledge and how much is soil. I waver between wanting a flowers-only garden, or a flowers-plus-vegetables/farm garden. These are nice decisions to have to make! I am not complaining — how could I possibly, with so many fewer weeds taunting me?! The Taming of the Field has begun, and I am ready for the long effort ahead.